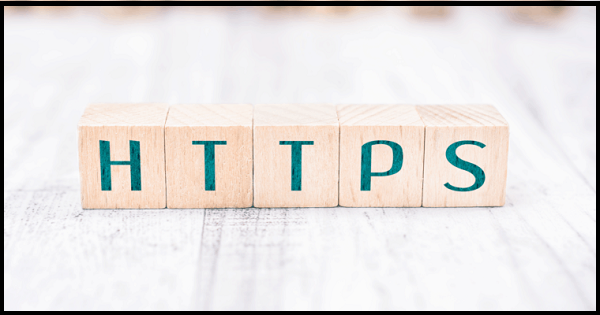 Home Blog Why Does Your Website needs SSL and HTTPS Now? Why Does Your Website needs SSL and HTTPS Now? The dawn of the Internet technology has landed us with better solutions and increased protection of our websites. Organizations like Google have been working continually toward making the web a safer place by encouraging website owners to use HTTPS protocols and SSL certificates that assures the safety of the data sent from one system to another over the browser via a secure encrypted channel. Small and Medium Enterprise (SME) owners host different roles to cater to the requirements of various departments such as Sales, HR, Customer Services, and even Webmaster/IT admins for the growth and productivity of their businesses. It is really difficult for them to focus on different business aspects all at once. A lot of small businesses are totally dependent on their website portal to fetch customers and penetrate deep in the market, even if they do not pertain to retail marketing. Start-up domains like restaurants, house cleaning, accountants, tour and travel, logistics, healthcare and other depend heavily upon their website to channelize their services across the globe for the branding and promotion of their enterprise. From geographically to statistically, people find the SMEs via the Internet. SSL stands for Secure Sockets Layer, which is an encrypted link between a web server and a browser and have been available from over 20 years for use. SSL protects the website from any threat and also protects the website visitor’s data that is usually transferred over the network. So any enterprise that has a website needs to get an SSL certificate for it. Despite the importance of the SSL certificate, earlier there were many organizations and end-users that delayed its adoption because of its pricing issues and complexity of its implementation. However, nowadays it has become much easier to obtain an SSL certificate with very low cost and hassle-free deployment. HTTPS stands for Hypertext Transfer Protocol Security and is the secure version of HTTP. 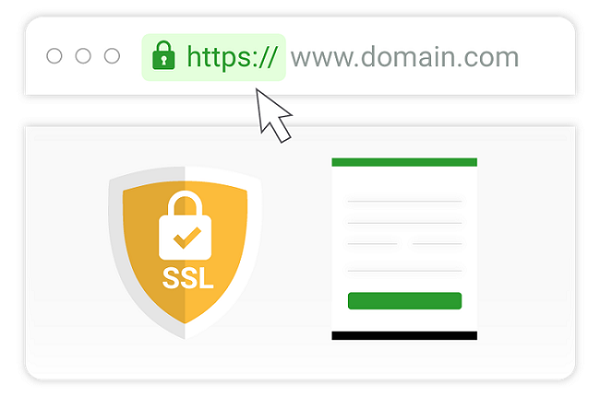 Google and Chrome differentiate some websites that obtain an SSL certificate and usually display them with the HTTPS prefix. Sites that are not secured are represented using HTTP prefix. What are the SSL Certificate Options? Depending upon the requirement of the organization, these are the three levels of SSL certifications mentioned below. All these SSLs include the same level of encryption, regardless of their costs. Domain Validated Certificates (DVSSLs): The SSLs that are checked against the domain registry are called Domain Validated Certificates.one cannot identify the organizational information of these certificates, hence suggested not to be used for commercial purposes. This is one of the most inexpensive certificates but is a high-risk certificate use on a public website. It is advisable to use DV certificates for websites where security is not a concern. 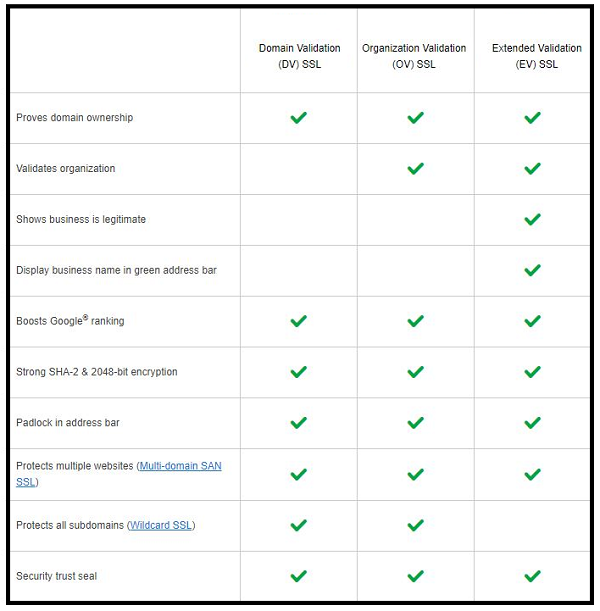 Organizational Validated Certificates (OVSSLs): These belong to the trusted categories. Organizations that are strictly authenticated by real agents against the government hosted business registry databases are provided with OVSSLs. This is one of the standard certificates that contain the legitimate business information required to validate any organization. Extended Validation Certificates (EVSSLs): EVSSLs include all the above security features along with utmost security that increases customer confidence and impart better online transaction experiences. This is no longer a luxury but a necessity for sites having the highest level of security and vetting. What is the need for an SSL Certificate? How to Obtain an SSL Certificate? You can check with your current website hosting provider for the SSL Certificates. All the SSL versions are paid and the services vary according to the requirement of the enterprise. The overall benefits of activating SSL certificates for businesses or even personal websites are incredible. The website hosting provider makes it much easier to install and deploy the SSL certificates and adds an extra layer of security for the website visitors too. If you wish to avail an SSL certificate for your website, reach out i2k2 Networks, dedicated web hosting solution provider committed towards the security for the clients, while they undertake online transactions through the websites. Call us at +91-120-466-3031 | +91-971-177-4040 or drop an email at sales@i2k2.com.